In the warehouse, during transport or at the construction site, our patented packaging solution and accessories make handling and fitting of flat glass easier, simpler, more economic and safer than ever. 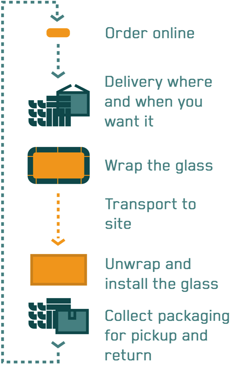 When packaged with Glass-wrap your glass can now be transported as general cargo using a truck, van or even a pickup. Glass-wrap fully protects all corners and edges. Risk of breakage and damages is all but eliminated, as is the risk of injury for your personnel. Lighter, more compact packaged glass, transported as general cargo, means more load and less fuel per mile, substantially reducing CO2 emissions. And, Glass-wrap packaging components are reused multiple times. Glass-wrap is an end-to-end service. 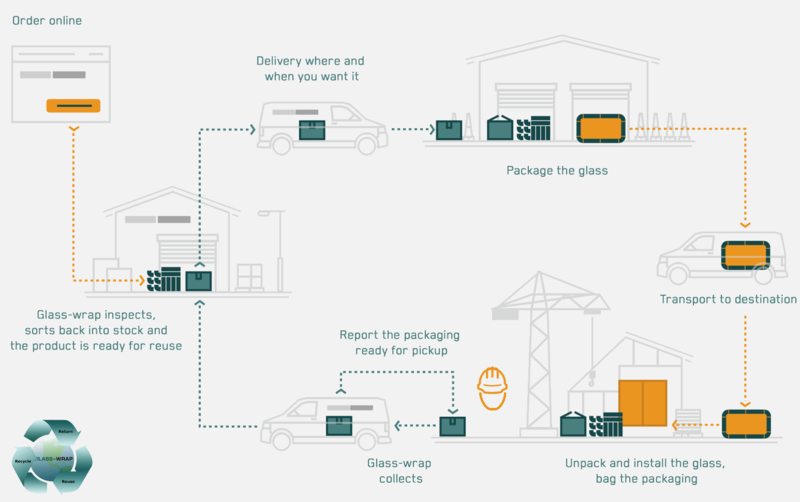 While optimizing packaging material use and recyclabilty, Glass-wrap also gives maximum convenience to glass companies through on demand transport and logistics. I have been in the glazing industry for the last 20 years. Glass-wrap is new for us and an innovation for the glazing industry. I have never used something so easy and user Friendly. Construction worker, Cornelius UK Ltd.
Glass-wrap really impressed me! It is not only a remarkable innovation, but a truely functional product for which all peripheral requirements have been thought of as well. Glass-wrap is a packaging and logistic system designed in Germany by Thomas Giller. ‘My company uses flat glass in high-end products and up to 25% of potential customer orders cannot be serviced due to excessive transport cost. In some cases transport cost even exceeded the value of the actual product itself’, says Giller. 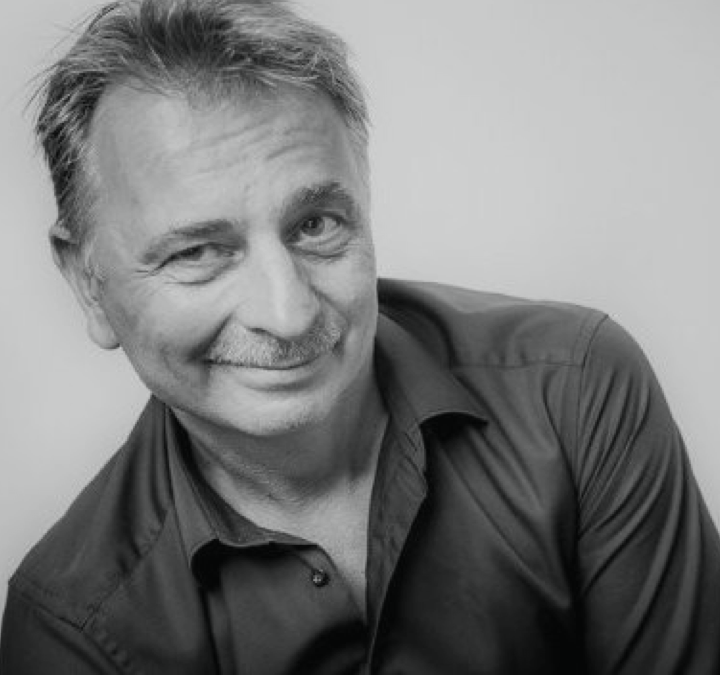 Thomas Giller took up the challenge of solving this problem and developed a packaging and logistic solution for flat glass that allows it to be transported as general cargo by any transport company, simple, efficient and without damages. 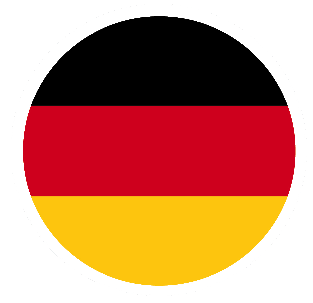 Want us to contact you? Leave us your email and question and we will get in touch as soon as possible.